Today’s organization is increasingly dependent on people born between 1980 and 2000 – in other words those under 30, otherwise known as “Generation Y”. 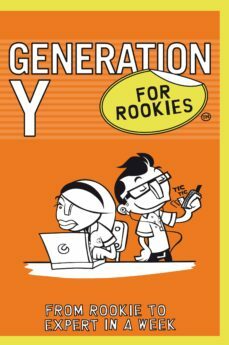 Whatever your own view of this age group, and whether you belong to it or not, making best use of Generation Y is critical to the future success of all organizations in the years ahead.Right now, Generation Y provides up to 50 per cent of the workforce of some big companies. And when you realize that Generation Y has radically different values, attitudes and motivation from many of their older colleagues, it’s clear that understanding their outlook is essential – for running effective teams, also for keeping and nurturing the talent that’s needed for the future and for ensuring that you can respond to the needs of the Generation Y consumer.